Today’s show is inspired by to two very courageous Asian Elephants; 6-year old Mosha and 50-year old Motala. After losing their legs from landmine accidents, Mosha and Motala were given a second chance to walk again thanks to the efforts of Soraida Salwala, founder of Friends of the Asian Elephant Hospital in Lampang, Thailand. 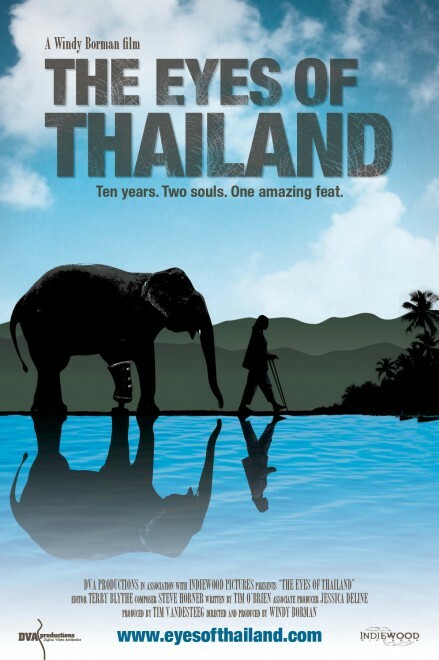 To talk about “The Eyes of Thailand”, a documentary film which tells the story of Soraida Salwala’s quest to help Motala and baby Mosha walk again, we are joined by Windy Borman, Director, Producer, and CEO of DVA Productions. Check out the trailer for the film below! Tags: Elephants, motala, Thailand, Windy Borman. Bookmark the permalink.